Sometimes in the Piedmont of the Carolinas, a drilled water well will not yield enough water to support a property’s landscape needs However, we know “it’s all in the math". We will draw your well down, measure, apply, and sometimes construct storage, plus assemble the pumping system to provide proper support. Whether it’s a high performance lake pump, booster pump, water well irrigation systems, or a waterfall pump pulling double duty as an irrigation pump, allow us to ensure your pump is at its peak operation. We offer Smart / Green matched precipitation irrigation systems. 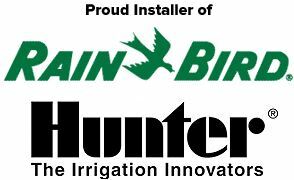 WINTERIZATION for Irrigation Systems starting at $75. Call for a quote.